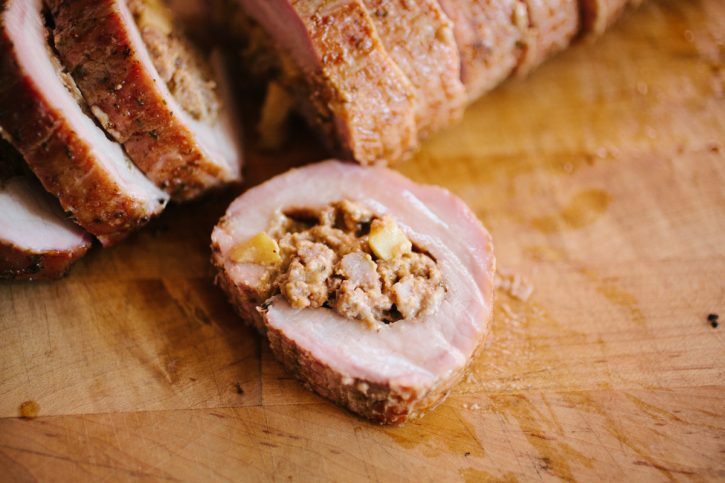 You know what we love about stuffed pork loin? The possibilities are endless! 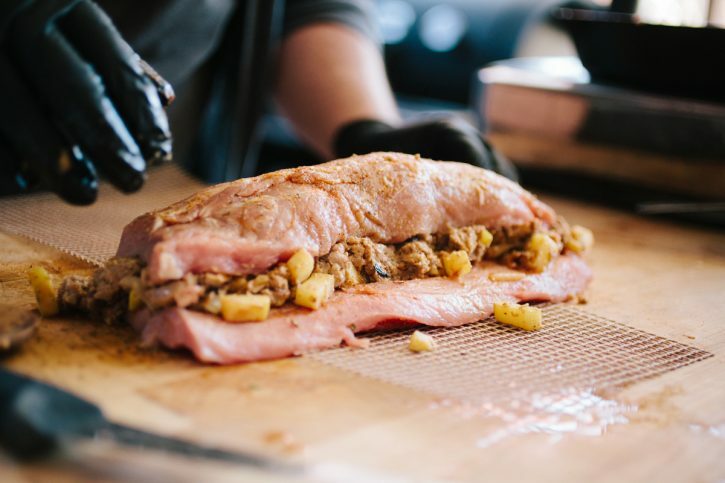 Now, while this particular stuffed loin may seem best suited for cooler weather, I promise no one will be disappointed to eat an apple and sausage stuffed pork loin anytime of the year! The toughest part about stuffed pork loin is the butterflying process. The concept is simple. 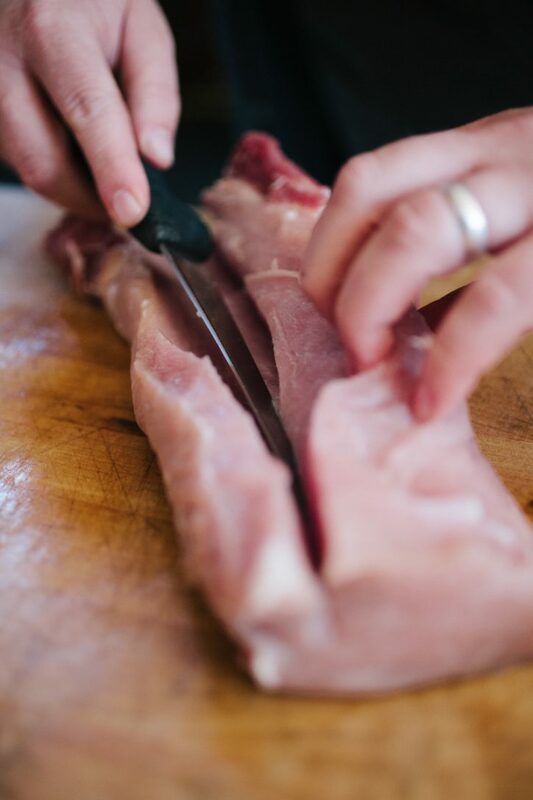 Slice the loin in a spiral, creating one even, flat piece of pork. It’s easier said than done, and I don’t have any miracle tips to make it easy from the very first time you give it a try. The truth is, practice makes perfect! Here is where you can get creative. 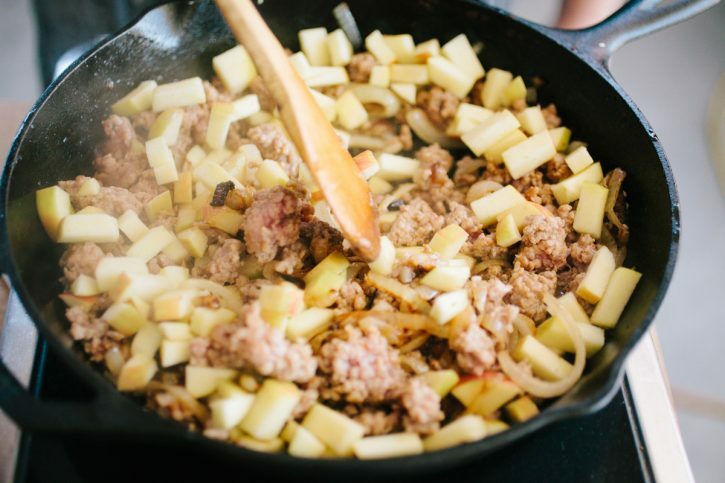 In this case, we have caramelized onions, German sausage and diced apples, all par-cooked to make sure they are the proper texture when the pork loin is finished. Savory, sweet, tangy. All avenues are open for your creativity to flow! 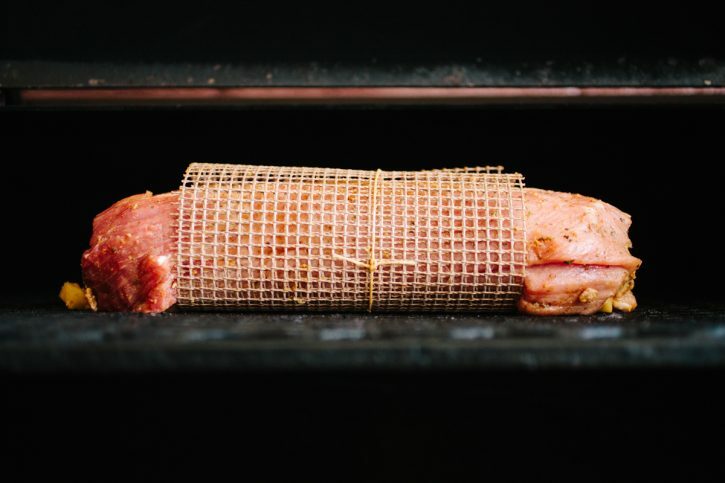 A little seasoning on the inside of the loin is a great idea. Flavor everywhere! Stuff and rolled on a FrogMat for ease. 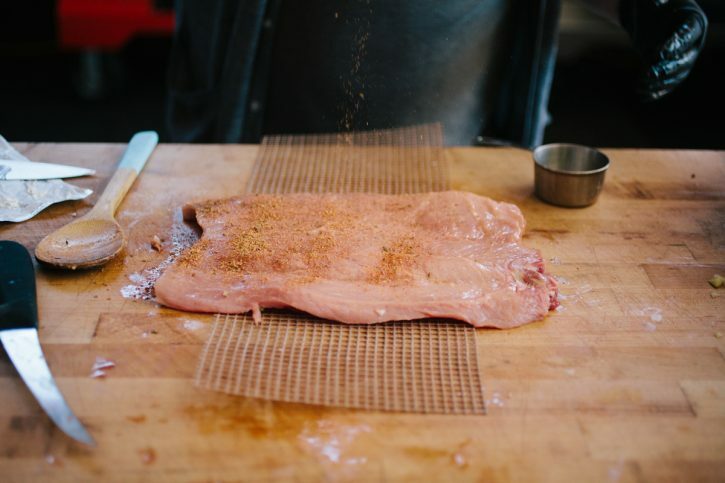 That FrogMat will roll up around the loin and hold everything in place!